Snorkel at a remote beach, hike to an ancient Hawaiian fishing village, and enjoy a delicious picnic lunch. Blue Ocean Adventure tours and Na Pali Explorer are excited to take you on this unforgettable adventure (tours are approximately 6 hours). Afternoon tours are only available March 1st through September 31st due to large north swell. Our 7:30 AM Na Pali Coast raft tour has a 7:00 AM check-in at the Kikiaola Boat Harbor. As we begin our journey toward the beautiful Na Pali Coast, you will have the opportunity to experience Hawaii’s amazing marine life including dolphins, sea turtles, and in the right season – Humpback Whales! Once our journey begins, you will learn about the history of the Na Pali Coast. Our captains will amaze you as they take you under waterfalls and through sea caves at the base of Kauai’s 3,500 ft tall sea cliffs; stopping at the best possible photo spots to capture this once in a lifetime experience. After our journey down of the 17 mile Na Pali Coast, our adventure will continue to the beautiful Nualolo Kai, an ancient Hawaiian fishing village. We will tie up our boat a few feet from shore, set you up with top quality snorkeling gear and get you right into the water for a 45-minute snorkel. Next, you will enjoy a full Hot Hawaiian Buffet style lunch, including Kalua Pig, BBQ Teri-Chicken, Steamed White Rice, Fresh Garden Salad with homemade Papaya Seed Dressing, Fresh Pineapple, Water and Hawaiian Juices. To end the day, we will then go on a short 20-30 minute nature stroll through the valley, exploring the archaeological remains of an ancient Hawaiian fishing village. From there, you will have free time to relax on the secluded beach of Nualolo Kai before loading up the boat to head back to the harbor. You will arrive back at the boat harbor by 1:30 pm. We provide drinks and a full picnic lunch along with quality snorkeling gear. 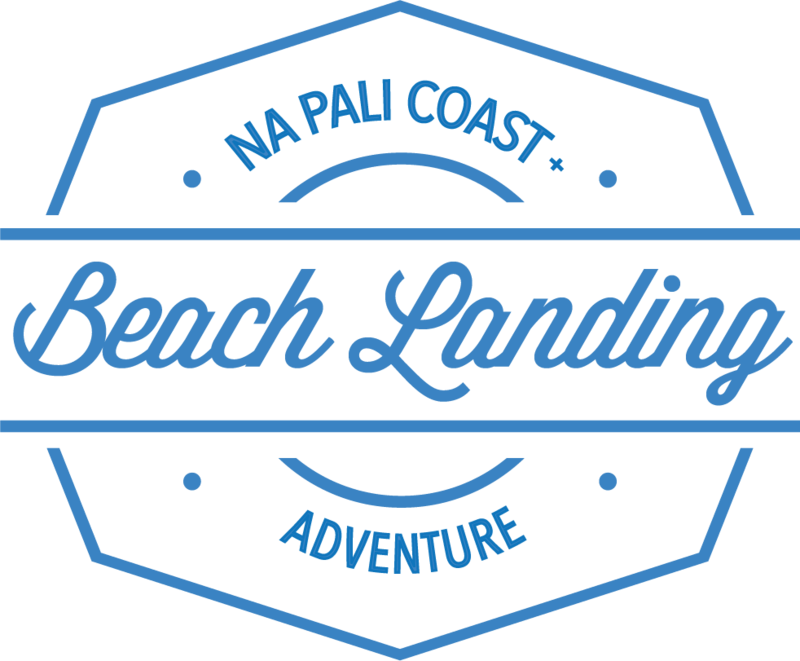 Our Na Pali Coast tour has an 12:30 PM check-in at the Kikiaola boat harbor with a 1:00 PM departure. For all the photographers out there, this trip is designed for you! The beautiful Kauai sun at your back provides the optimal lighting you need to capture the Na Pali Coast in all of its splendor. This tour provides all the same features as our morning tour, taking you through beautiful sea caves and waterfalls along the coast line. Topping it all off, as this memorable tour is winding down, we’ll cruise the breathtaking west side, facing the brilliant sunset to capture once in a lifetime photo opportunities. You will arrive back at the boat harbor by 7:00 pm. We provide drinks and a full picnic lunch along with quality snorkeling gear. Kama'aina discounts available. Must show valid Hawaii state ID. Please inquire. This Na Pali Coast Zodiac Raft tour is a high speed, turbulent adventure over waves and unpredictable ocean conditions that include sharp turns and maneuvers through sea caves up and down the coastline. This is a physically strenuous activity that will take you up close and personal with everything that the coast has to offer. Blue Ocean will not allow any persons with pre-existing physical injuries or conditions, other conditions, AS WELL as PREGNANT women as the activities may pose an additional danger to such.